Ancor heat shrink tubing bonds tenaciously to insulating covers and terminals, producing a much stronger connection than the mechanical connection alone. Shrinks safely below the temperature at which insulation melts. 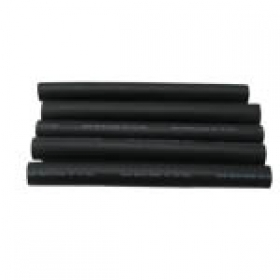 Heat shrink tubing is also great for collecting and protecting cables. This line of tubing is available in a variety of colors and lengths and measures 1/2 inch in diameter.